Realization- I’m becoming a local. Event that lead to realization- thinking a Tom Yum style dry noodle soup with fish balls is a ‘comfort food’. 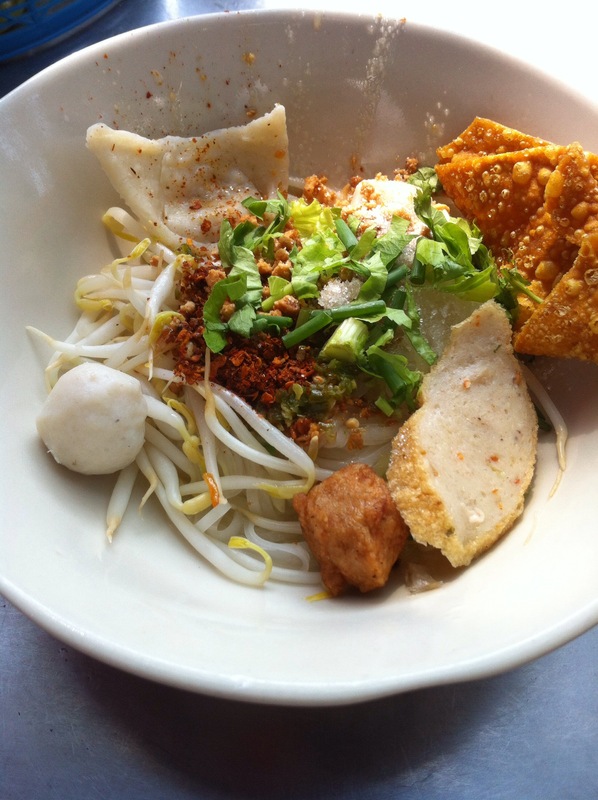 This entry was posted in Food & Restaurants, photographs and tagged noodles, thai street food. Bookmark the permalink.